Our Property Disputes Team provides expert advice on any property-related dispute including commercial, agricultural and residential. Our specialist team prides themselves on acting as promptly and efficiently as possible. Does the end of “no-fault” evictions spell disaster for landlords? In the dark about your rights to light? We aim to resolve disputes without recourse to court proceedings where possible; in an aim to limit your costs. Should litigation be necessary, our expert team will be able to guide you through the process and keep you updated as to the costs involved. Many thanks for the excellent work you have done in resolving our recent tenancy issue. It was conducted in a very professional manner, plus your advice on the problem was first class. I would have no hesitation in recommending Leathes Prior Solicitors to anyone. Coming up against them in Property is like being against Man Utd in the Premiership...an awesome reputation. They are all well respected and well regarded lawyers, who are the rock upon which their clients can rely on. Their knowledge in this area is superb; and they are always 'on the ball'. I am confident that anyone who seeks their assistance will be well looked after. Leathes Prior is probably one of the best law firms Norwich has to offer. We know no way of thanking you enough for the wonderful success you have achieved for us. You said just over a year ago that you would relieve us of our burden and you have done just that. Please accept our sincere congratulations and our grateful thanks. One of the best local firms. Thank you for all the work you've carried out on this [land] dispute for us; we are delighted at the successful outcome. I would just like to say that you have, over the past three years on this matter, looked after me exceptionally well. Thank you. I would like to take this opportunity to thank you very much indeed for all your work. Your courtesy and efficiency has been very much appreciated. 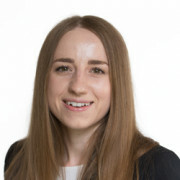 Leathes Prior provide advice on all aspects of contentious property issues, including commercial, agricultural and residential landlord and tenant, boundary and development litigation. Particularly pronounced expertise in timeshare disputes, patient and measured in assisting with a long-running matter. They respond promptly and efficiently. Darren Bowen has a broad practice covering contentious probates, agricultural disputes and real estate litigation. He is an expert in litigation. He is very good at bringing in the right experts and specialists for different jobs, he displays great customer care and is very tenacious. Litigator Darren Bowen has sound knowledge and good judgement. Has the ability to manage complex and difficult litigation. Fees are competitive and the lawyers turn around work quickly. The hugely popular and smart Darren Bowen at Leathes Prior has skill in litigation that is often the reserve of larger firms. Delivers the best and has strong agricultural estates experience. This Norwich-based team continues to impress and adds growing expertise in agribusiness to its existing corporate and commercial know-how. Attention to detail and recommended for Commercial Litigation and Agriculture and Estates work...for their confident and pragmatic approach. Leathes Prior’s excellent quality of service, and good value for money attract clients and the team is praised for its practical approach to complex commercial disputes. Darren Bowen doesn’t miss any points and gives excellent advice. Leathes Prior’s specialist team compares very well with the main competition in Norfolk. Litigator Darren Bowen is incisive, clear-thinking and a strong advocate for his clients, but always open to practical ideas for settlement. He is assisted by solicitors Sabina Haag and Calum Paterson, who are praised for their efficiency and technical expertise. 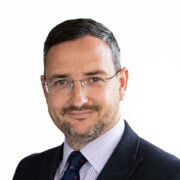 Leathes Prior advises on a wide range of contentious property issues, including trusts of land, boundary disputes, easements, covenants, and landlord and tenant matters. 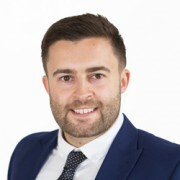 In Darren Bowen the firm has a highly skilled property litigator who is respected by surveyors, land agents, landed estates and counsel, and whose expertise covers agricultural property disputes, particularly those involving probate matters. 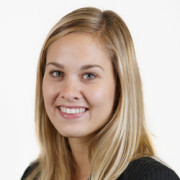 Solicitor Sabina Haag specialises in landlord and tenant disputes involving dilapidations claims, forfeiture proceedings and commercial rent arrears. She also handles matters concerning timeshare properties. The team is very good, very professional and very quick to respond. Thank you very much for your help and professionalism with this matter, I would not hesitate to contact you again should I need any legal advice in the future and would certainly recommend you to others.